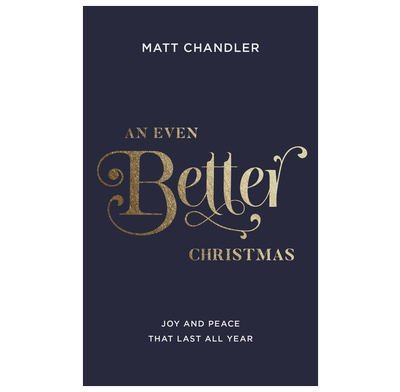 Every December we spiral down into what Matt Chandler rightly calls our “shop-till-you-drop, make-sure-everybody-is-totally-happy, gift-buying, food-gorging panic attack” called Christmas. If, like me, you’re exhausted already, then An Even Better Christmas is for you. This book guides us all into real “peace on earth,” starting way down deep in our hearts.